Using terms such as “misty-eyed” and “blown away,” former University of Wisconsin-La Crosse gymnast, Amy Enright, spoke with excitement and humility when humorously describing her reaction to receiving an email saying she was the school’s nominee for the NCAA Woman of the Year award. A few months later, Enright learned she was the conference nominee. And the good news didn’t stop there. This past week she found out she was chosen as one of the top 30 nominees and will get to attend an awards dinner in Indianapolis at the end of October. 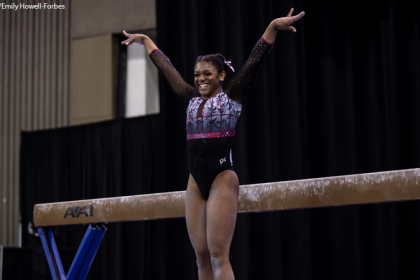 She is one of 10 DIII athletes and is the only gymnast to have been selected to the top 30. Though extremely humble about the recognition, Enright is no stranger to success and accolades. This past year alone she was selected to the Google Cloud NCAA Academic All-America At-Large First Team, earned Google Cloud NCAA III All-District Six At-Large Team honors and was chosen as the WIAC Judy Kruckman Women’s Gymnastics Scholar-Athlete. 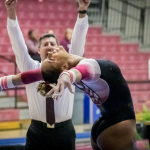 These are all in addition to her athletic accomplishments this season, which include a second place finish on bars at the NCGA National Championships with a 9.825—a score that ranks second in the school record books, only being ousted by her own record of 9.850 set back in 2015. 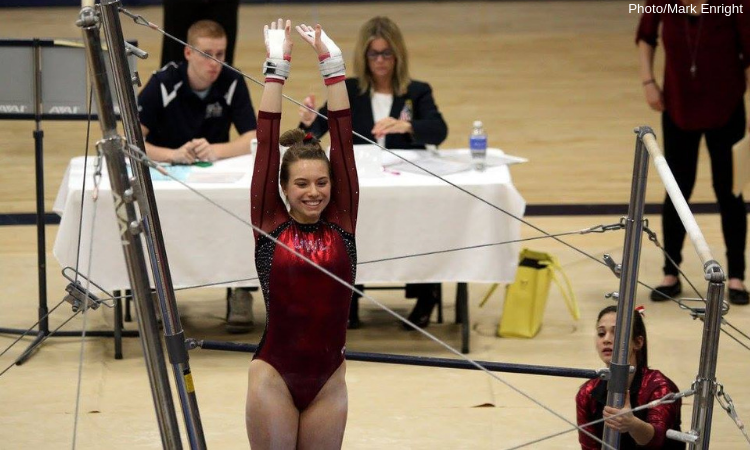 She also recorded a fourth place finish on bars at the WIAC/West Regional Championships and a first and second place team finish at conference and nationals, respectively. Her dream is to eventually research how to use bacteria to help the environment in some way, such as producing biofuels or to clean up the environment from pollutants. 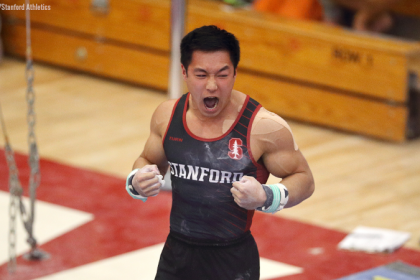 “Life without gymnastics is different, but not so different,” she said. “All it really means is that I get to take the skills I learned during my time as a student athlete and apply them to different areas of my life now.” Enright attributes her organization, time management and goal-setting skills she learned in college to the success she is seeing in her work environment. And although right now it feels like things haven’t changed much, she is sure once competition season comes around, it will hit her a bit more. Enright’s time at UWL is something she says she will always treasure and describes her overall experience with just two words: constructive love.